Today we have a small update to show off a render of the Bren Mk2, which will be replacing the Mk1 in our Normandy theatre maps. The Bren had served as the standard British light machinegun since 1937, and was well liked as a rugged and dependable weapon. However, it was comparatively expensive and time consuming to make, and in the aftermath of the evacuation at Dunkirk with the need for quick rearmament, some simplifications were made. Most noticeable of these was the replacement of the complicated dial sight with a simple folding leaf sight. Other changes were made to the bipod, stock, receiver and the muzzle to make them simpler and faster to machine. The Mk2 replaced the Mk1 in production in 1941, though it never completely replaced it in service. 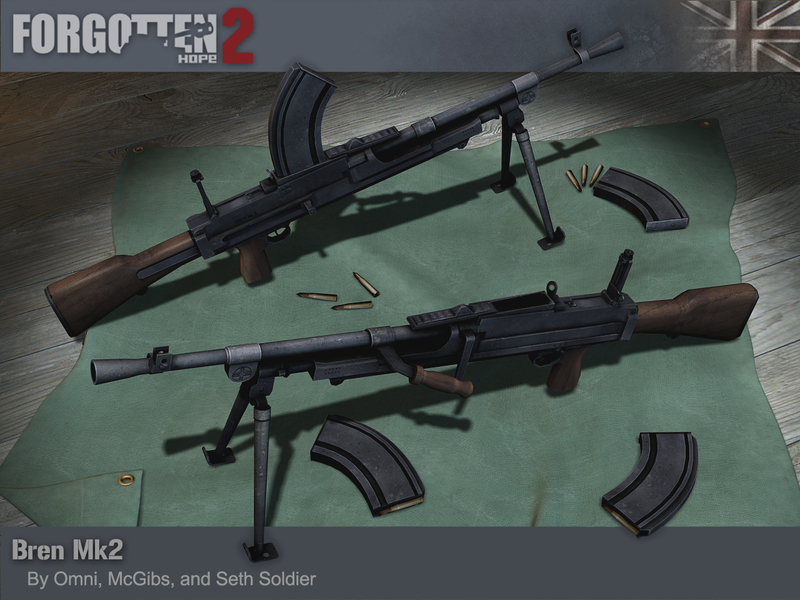 Our Bren Mk2 was modified by Seth Soldier from our original Mk1 made by Omni and McGibs.